We were thinking about holiday sickness claims for last week's Finance Fridays. If you haven't booked a holiday yet this year don't let it put you off! One simple reason people don't like going on holiday in August is the cost. At this time of year prices are at their highest but by leaving it until the last minute you can grab a bargain. Let's see how you can save money. Wait until mid-August to go – If you live in England and have kids then school won't start again until September. For those living in Scotland school resumes in mid-August. This means there is less competition for those remaining unsold bookings. Also families awaiting GCSE and A Level results probably won't be wanting to go away at these times. Get on mailing lists – You may not like receiving countless emails from companies but sometimes they can be useful. I receive emails from places where we have enjoyed holidays many times before. I know the genuine prices of the holidays they are now offering at last minute prices with several hundred pounds taken off. Try somewhere new – You may have a specific location in mind but broaden your horizons. Countries such as Spain and Portugal are always popular but perhaps think about going the other way? The coastline and beaches of parts of Bulgaria and Croatia are beautiful but not as expensive as their Western Mediterranean counterparts. Book accommodation and travel – If you see a great deal on accommodation make sure before you book that if you need to fly or travel by ferry you can get a place on them and they aren't too expensive. Compare all-inclusive deals – If you are wanting to stick to a budget while on holiday then all-inclusive holidays with the food included can be a good idea. However holiday companies have got wise to this so see how much extra an all-inclusive resort is compared to one that isn't. Also make sure that when it says it is all-inclusive it actually is as some only include very basic food and drink. Haggle – Tour operators buy holidays months in advance so they need to fill the spaces. If you book in an actual travel agents or over the telephone then negotiate a deal. They usually prefer to fill places rather than leave them empty and not make any money from them. If they won't lower the price you might be able to upgrade your room or get some added extras thrown in. 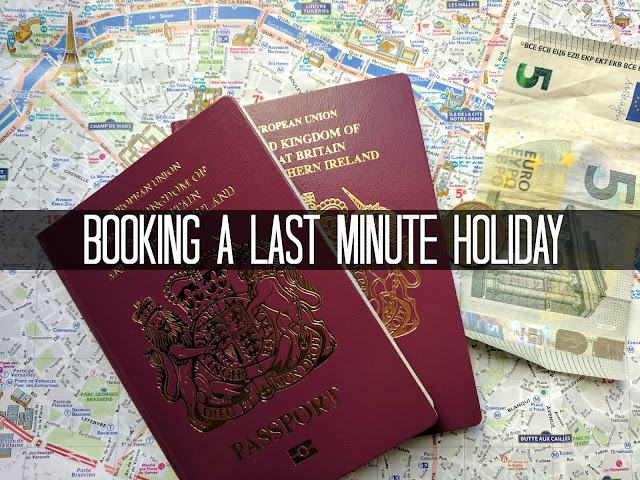 You prefer to book in advance or last minute? Have you grabbed a late holiday bargain? If you want to join in with this week's Finance Fridays then add your link to the linky below. Any post concerning financial matters is allowed. Full details here. It doesn't have to be published today as you have until 23.55 on Tuesday 8th August 2017 to join in.